It’s been said that two heads — or is that skulls? — are better than one. That’s certainly the vibe that Skullcandy is going for after joining forces with 2011 acquisition Astro Gaming and dreaming up a new line of gaming headsets. To minimize the proverbial boat rocking, it looks like Skullcandy is leaving the high-end gaming cans to Astro. 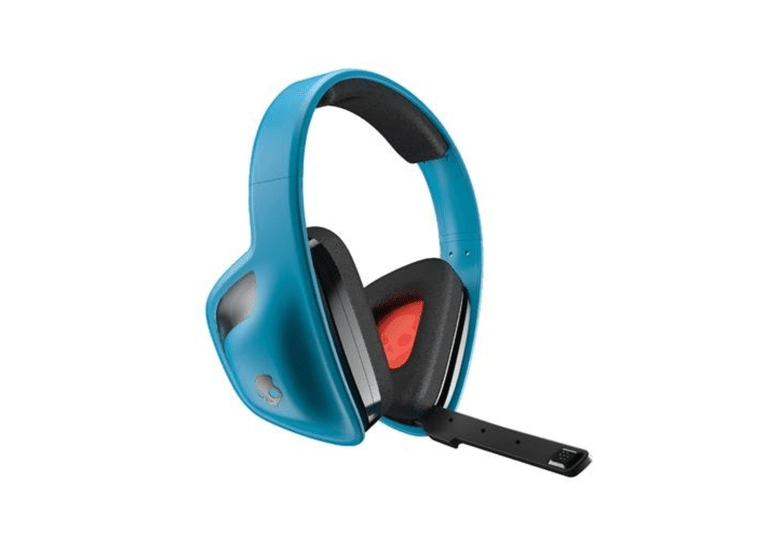 Instead, Skullcandy is focusing its efforts on budget-conscious gamers with a mix of affordable headsets. Among its offerings, none is more budget-friendly than the vowel-averse SLYR, which originally released in 2012 but continues to be a part of Skullcandy's gaming headset lineup several years later. With its price tag of under $100, which we've seen go as low as $50 at times, the SLYR is cheaper than even other budget headsets, such as the PDP Afterglow Universal Wireless Headset. It also costs a fraction of headsets such as Turtle Beach’s Ear Force XP400 and Astro’s own A50 Gen 2 Headset. If we learned something from PDP’s excellent headphones, however, it’s that a low price doesn’t always indicate low quality. Does the same case apply to Skullcandy’s SLYR? Well, let’s take a closer look shall we? One of the first things that pop out about the SLYR is its design. Featuring nice lines and a svelte look, the SLYR has an alien-like quality to it that we find quite pleasing to the eye. It’s a modern look that’s cleaner than the XP400 and the A30 but also not as polarizing as the futuristic Afterglow. The mic also folds in nicely and blends well with the overall look of the device. In terms of fit, the band can be adjusted on each side to account for different head sizes. Like the A30, ear contact is made via more rigid padded cups as opposed to the softer memory foam-like material used by the Afterglow and the XP400. The cups also don’t completely cover the ears and you get a tighter fit compared to the XP400 and A30 though not quite as snug as the Afterglow. It's comfortable but it can still make your ears sore if you play for several hours. To connect to your PC, PS3 or Xbox 360, the SLYR uses two red and white analog connectors that basically work as a passthrough for the audio connectors on your component cable. Sadly, that means no digital connection for folks who prefer to connect their console to a TV via HDMI and use the digital audio cable slot on their PS3 or Xbox 360 like the A30 and XP400. It's assumed this was done to help keep costs down, just like the Afterglow. On the plus side, this also gives you the flexibility to use the headphones with any console that connects with a component cable if you just want to listen to the sound. You can also use the SLYR for non-gaming purposes and connect it directly to an MP3 player like regular headphones. The sound itself is quite good — provided you plug its connectors all the way in. We didn’t quite get it connected the first time and I ended up with a thin, airy sound that was frankly horrible. Fortunately, we had the same issue with other headphones before and knew right away what was going on and gave the connectors an extra push. Sound quality with the mic is good as well. For Xbox users, make sure you get the cable connector completely connected as well. The SLYR comes with a mixer with three sound presets and a toggle button for game and chat volume. Personally, I’m partial to the bass setting, which gives your sound an extra thump that makes even the opening to Lego Lord of the Rings sound epic. One more key feature? Like the A30, you can connect any headphone to the mixer, allowing you to use, say, a high-end set of cans if you don't need a mic. This feature alone makes the SLYR even more attractive for audiophiles. As with any wired controller, the downside to the SLYR is that you get all these cords to deal with. If you’ve already got a ton of cables snaking around from all sorts of gadgets, the extra wiring will add to the clutter. Still, that’s part of the tradeoff when going for affordability. On the plus side, the SLYR does sound quite good despite its pricing. Add its versatile mixer to the mix and it's definitely worth a look for gamers on a budget.